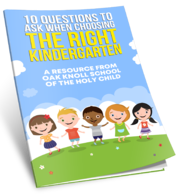 The question that parents ask admissions directors most often is, “Is my child ready for kindergarten?” Every child is unique, and what may work for one child’s development may completely be inappropriate for another. Admissions directors find this to be a difficult question to answer without having an in-depth knowledge of your child, as well as your family dynamic. It is so very important for each parent to look at their child’s development in areas of social/emotional, physical and educational experience. It may be difficult for a parent to objectively look at their child, so rely on a strong communication with your child’s pre-K teacher to help guide you in this decision. 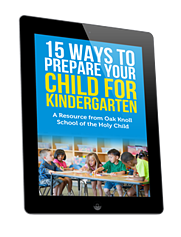 Click here to read our blog, featuring 8 ways to know whether your child is ready for kindergarten. 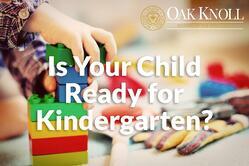 Your child’s entrance into kindergarten is one of the biggest milestones in your child’s development. It can also oftentimes be an overwhelming time — whether it’s the first time they are away from you for an extended period or their first time meeting new friends. It is important to ensure your child’s physical, social and cognitive development is mature enough to start school. Download our guide to help you prepare for this important transition. It takes a little homework to be able to choose the right kindergarten program for your child. You need to know more than simple stats, like teacher:student ratios, campus acreage, transportation options and age requirements. Understanding whether the school's core values resonate with you and your family, whether the curriculum fits your child's learning style and how important hands-on and inquiry based learning is to your child are imperative questions you need to answer before finding the right program. Download our guide to help you remember 10 key questions as you compare schools and options.